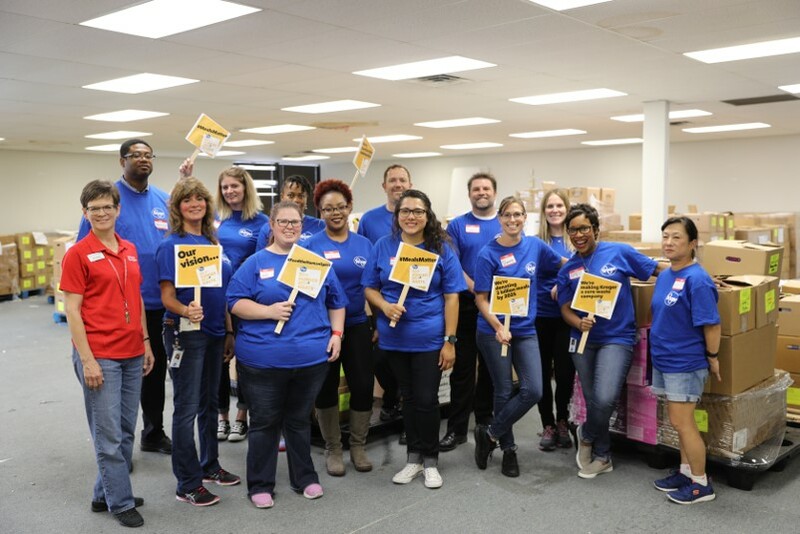 One year ago, we announced our moonshot – to end hunger in our communities and eliminate waste across our company by 2025 through Kroger’s Zero Hunger | Zero Waste social impact plan. In September, Zero Hunger | Zero Waste turns one and this first year was all about achieving milestones and setting a strong foundation to accelerate progress towards achieving this goal. One key program we accelerated this year is our industry-leading Zero Hunger | Zero Waste Food Rescue. Through this program, associates across our retail stores donate safe wholesome food that can no longer be sold to local food banks. In 2017 alone, we directed 325 million meals to families in need in our communities, with food and funds combined. We recently pledged an additional one million meals to Feeding America in partnership with Oprah Winfrey’s food line O, That’s Good! We also focused on aligning charitable giving through The Kroger Co. Foundation to our Zero Hunger | Zero Waste plan. We also invited customers to Round-Up to End Hunger and steward customer donations at checkout to help Feeding America-affiliated food banks. Our customers’ insights team at 84.51° led projects to better understand the complex issue of food insecurity in our communities and initiated a design thinking project to bring a family-centered focus to our search for solutions to end hunger. In partnership with World Wildlife Fund, Kroger also established metrics and a baseline for food waste across our retail store operations, using the WRI Food Loss & Waste Standard. These results are available in our 2018 Sustainability Report. We worked to build awareness of the issues of hunger and waste and how our customers can help. We shared tips for reducing food waste at home through the Wilted to Wonderful blog series and other content. 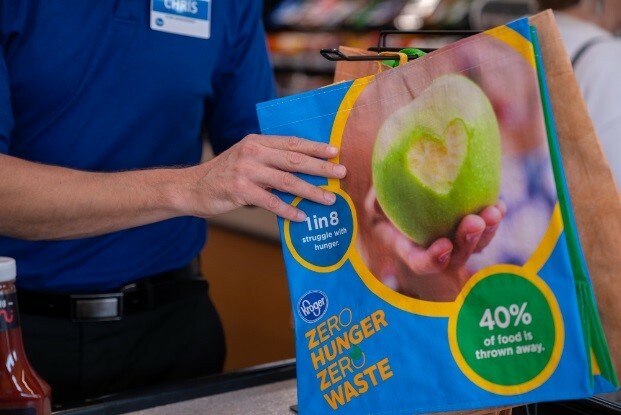 In August, Kroger also committed to phase out single-use plastic grocery bags by 2025 and began work to transition to more sustainable options for our customers and our planet. We also created a strategic plan to launch Kroger’s $10 Million Zero Hunger | Zero Waste Innovation Fund to support scalable solutions to reduce waste. The Fund will launch later this year. And, for all our efforts through Zero Hunger | Zero Waste, we received the great honor of debuting at number six on Fortune magazine’s Change the World 2018 list. 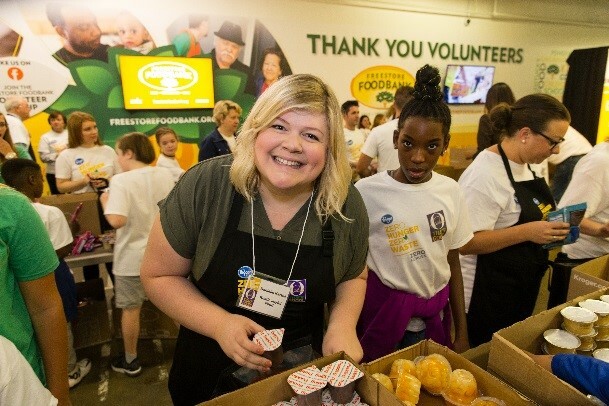 As year two of Zero Hunger | Zero Waste begins, Kroger will launch pilot projects with the potential to increase food security and reduce food waste in high-opportunity areas like produce, seafood and deli. Key initiatives will include accelerating the Zero Hunger | Zero Waste Food Rescue program by expanding donations to include additional categories of food. We will also increase the number of retail stores participating in food waste recycling, and partner with growers and suppliers to address food waste in the supply chain.